Altavia Saint-Étienne SAS (Altavia) acquiring Jetpulp in France, a digital strategy firm focused on e-business and website design. In contrast, deals involving UK targets were slightly down over the same period, from 15% of the total to 13%. With only 29 deals involving UK agencies in Q3 2017, down from 42 in Q3 last year, it is possible that Brexit is prompting some international buyers to pay closer attention to high-quality targets in emerging digital hubs in markets such as Germany. The analysis was carried out by Results International, the leading international advisor on M&A and fundraising to the global marketing, technology and healthcare sectors. 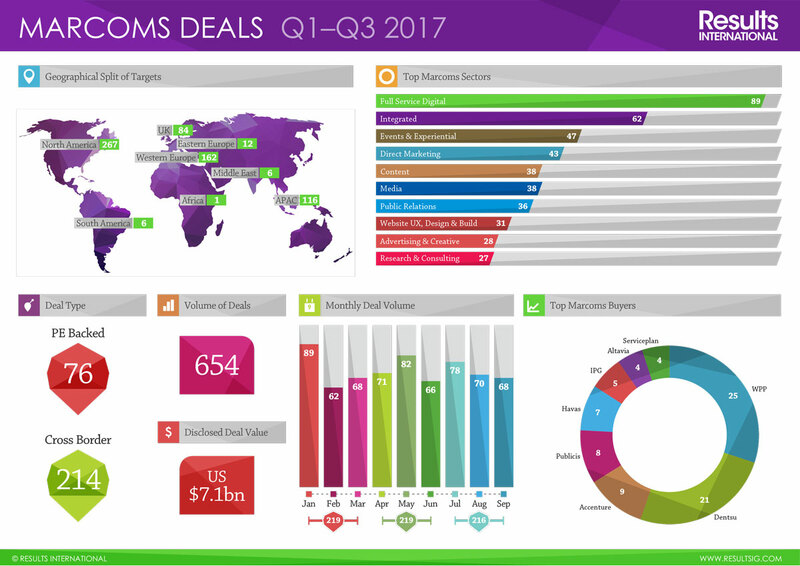 Overall there were 216 marcoms deals in Q3, on a par with the 219 seen in each of the previous two quarters. This amounted to 654 in the first nine months of 2017, down from 785 in the same period last year. The research also revealed that Accenture is still a major marcoms buyer – third on the list for Q1-Q3 behind only WPP and Dentsu, with nine deals under its belt. 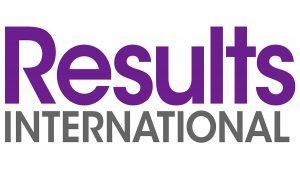 Julie Langley, partner at Results, comments: “Although the networks continue to dominate by deal volume, the management consultancies are making strategically important transactions further into the heart of adland: deals such as Accenture buying Wire Stone and The Monkeys, and Deloitte buying Acne. It will be interesting to see how they and the other consultancies continue on this path. The research found the largest subsector in Q3 was once again full-service digital with 29 deals, but there were sharp increases in M&A activity involving advertising & creative agencies (13 acquisitions, up from five in Q2), shopper marketing agencies (11 deals, up from four), media businesses (17, up from 12 in Q2) and social media agencies (eight deals in Q3 this year – the highest volume seen since Q1 2016). The analysis also revealed that WPP made a comeback in Q3 2017 with ten deals, the most of any buyer, whereas Dentsu slowed down completing just five acquisitions in the last three months. As a result, WPP now leads the marcoms acquirers list for the year to date with 25 deals, as compared to Dentsu’s 21. In addition, private equity (PE) activity over the period Q1-Q3 2017, accounting for 12% of all marcoms deals, was higher than the same period last year (8%). Notably, 24 of those PE deals were cross-border (accounting for 32% of total PE deals), a significant growth on the 16 cross-border PE deals (26% of the total) completed in Q1-Q3 2016. Julie Langley concludes: “PE houses have traditionally been wary of businesses focused on project-based work, which is why they shied away from much of the sector except for PR. However, private equity has a lot of funds to deploy and is increasingly looking at marcoms as an attractive sector.